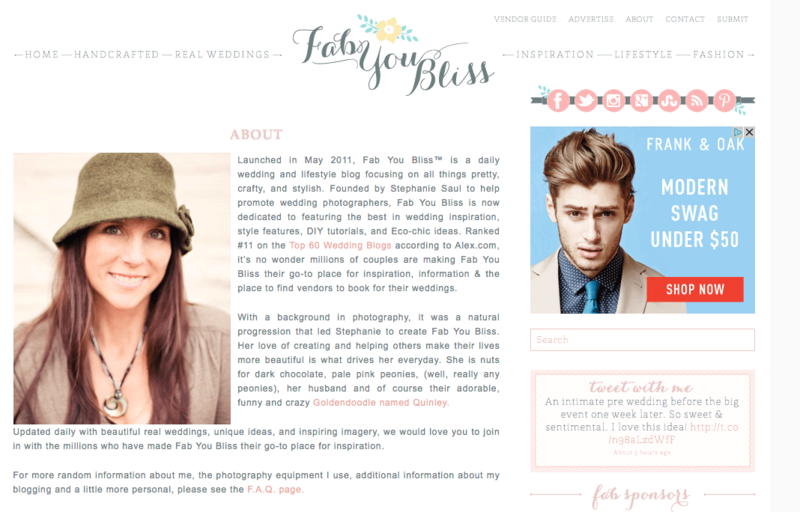 Fab You Bliss gets a girly new brand and website! Wedding and lifestyle blogger Stephanie Saul came to us with a vision to revamp her logo and website without losing her original blog personality that had been built over time. We designed the website around the new and improved feminine brand that started with the logo, allowing the beauty and sharpness of her featured photographs to stand out from the off-white backdrops. 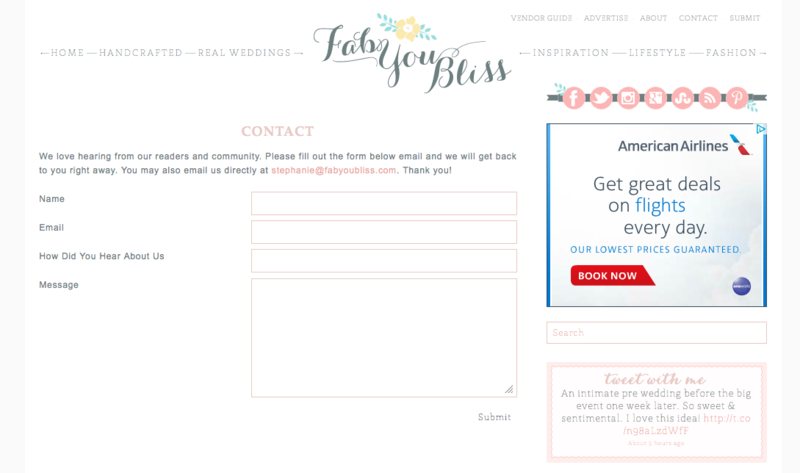 We kept the concept fresh and uncomplicated, creating a no-nonsense functionality that makes the site easy to maneuver. So whether you are looking for inspiration for your wedding or simply some lifestyle tips, Fab You Bliss is updated daily with wonderful new ideas and images that are sure to get your creative juices flowing. 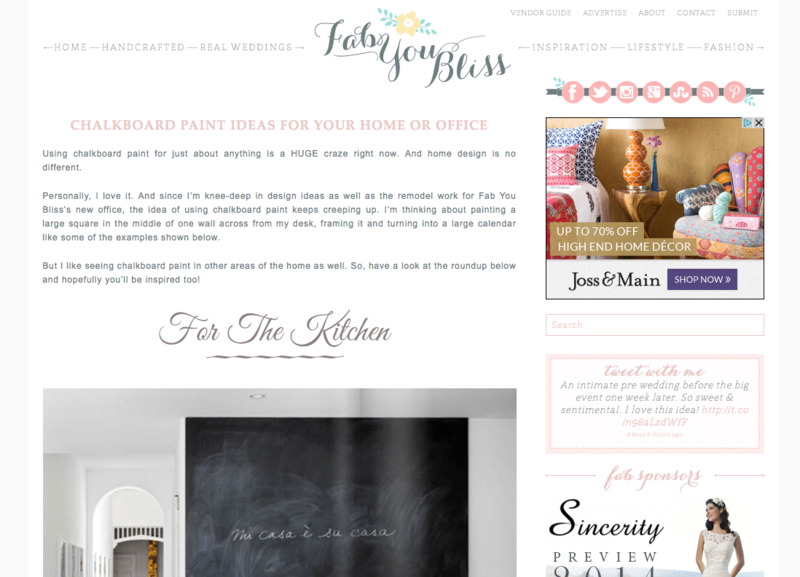 Lets take a look at their new logo design and website!